I love snacking. It’s one of my favorite things to do. One of my favorite snacks I like to keep at my desk is trail mix. It’s the perfect thing to satisfy the pre-lunch cravings or after-lunch-I-can’t-wait-till-dinner moments. 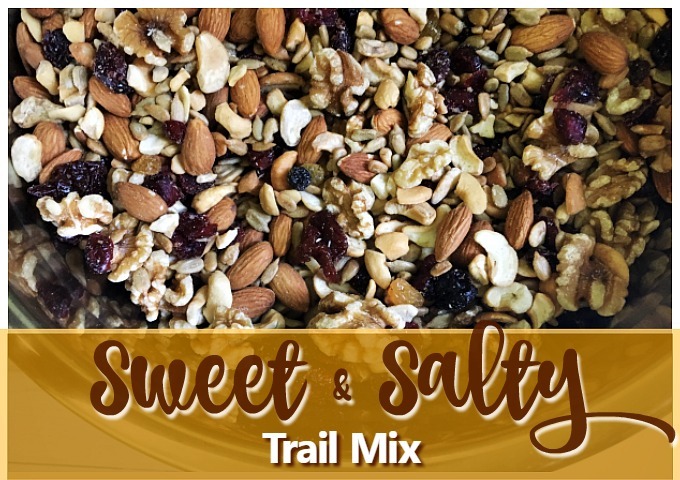 Trail mix is the kind of snack I don’t feel guilty about. I love nuts, seeds and dried fruits but I don’t always love the prepackaged mix. When I reach for trail mix, it’s because I want a healthy snack. I can do without the “extra stuff” like chocolate chips, M&M’s, yogurt covered raisins, pretzels or marshmallows (yuk). Who wants to pick around the things they don’t like or want? And the prepackaged stuff can get expensive. Which is why I love to make my own. I get exactly what I like and it’s cost effective. Simple means simple. There’s no need to turn on the stove or oven. Don’t even think about busting out a measuring cup. Trader Joe’s is great if you want to stock up on nuts, seeds and dried fruits. No, this isn’t a sponsored post for TJs – I’m just telling you where I think I get the most bang for my buck. After making my own mix, I fill up a storage container and keep one at my desk. I send one with Joseph to keep in his locker at work. And I keep one out on the kitchen table readily available for Norrin to snack on. And I always have extra containers filled with the sweet and salty goodness to keep in the pantry. They especially come in handy during baseball season when we’re running out the door and need something quick. I love pairing this with a banana, apple slices or with a few slices of smoked guoda or provolone cheese. In large mixing bowl, add in all the ingredients. Stir. I told you - it's that simple and you have snacks for the month! 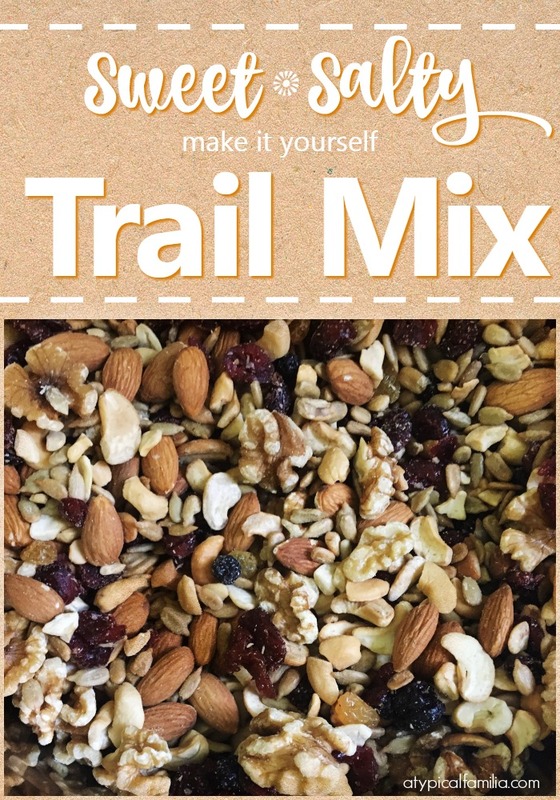 Divvy up your trail mix into plastic snack bags, mason jars or clear storage containers. « The 2017 Mazda3 is Fun To Drive & Has Some Cool New Features!